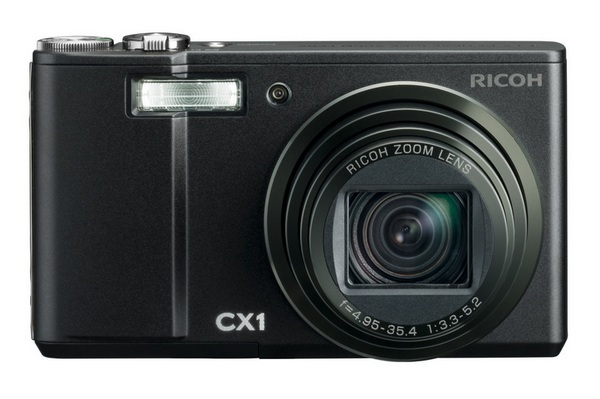 Ricoh's CX1 camera gets reviewed . The kids at Photography Blog have finally got their hands on that Ricoh CX1 that won our respect not too long ago, and they've been cool enough to post a review online. The camera, the reviewer said, begins where the ol' R10 left off, throwing features like multi-pattern auto white balance, multi-target auto focus, and 4fps continuous shooting speed into the mix, making this 'the best Ricoh point-and-shoot yet.' That said, it can't all be groovy -- the review goes on to cite the camera's 'bog-standard' 640 x 480 / 30fps video and rudimentary face detection as 'nothing to write home about.' Image quality -- often a deal-breaker for this company -- has greatly improved, with a new 9 megapixel CMOS sensor sporting 'a now usable ISO range of 80-800.' Of course, the big news is the camera's high dynamic range. DR mode is, for the most part, 'radical and very effective.' But there's much more to it -- hit that read link for all the gory details.